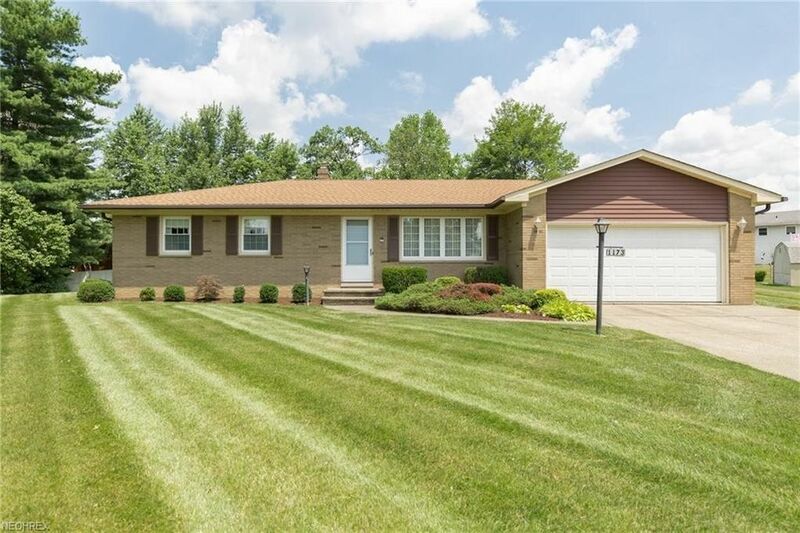 Brick Ranch at Top of Cul-De-Sac! Lots of the Major Components have been Updated! Newer Roof, Newer Windows, Newer Furnace and Central Air Conditioning! Nearly Half an Acre Pie Shaped Lot, Huge Level Back Yard with Patio and Storage Shed! Three Bedrooms with Two Full Baths (Both UP) the Second Full Bath with a Shower is Off the Master Bedroom! The Kitchen has Lots of Cabinets and Counter Space and is Open to the Spacious Dining Room! Finished Lower Level Recroom has a Wet Bar w/Fridge and there is also a Kitchenette Downstairs! All Appliances can Stay: Includes Kitchen stove, fridge and dishwasher; Also includes the stove and fridge Downstairs as well as the bar fridge. The Washer and Dryer are Negotiable. Two Car Attached Garage has Electric, Water, Drain, Garage Door Opener and Concrete Driveway! Heritage Park HOA has a Community Swimming Pool, Park with Playground, Tennis and Basketball Courts for $225 Yearly (there are no restrictions). Near I71 Access, Schools, Shopping and Medical Assistance! Quick Possession could be Available! Call Today Before this one is GONE! Multiple OFFERS Need Highest and best by Noon 7/12/18.